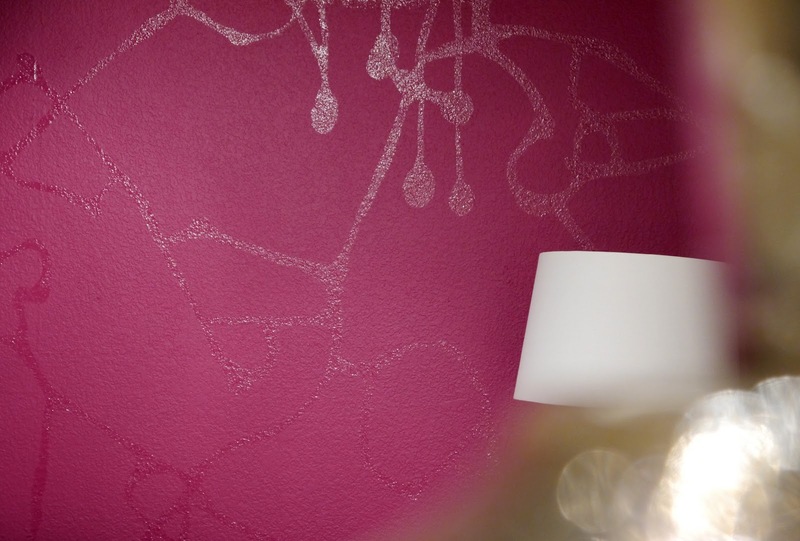 Daily Art: Bright pink wall for the holidays! Scott Neste, of Minor Details (http://www.minordetailsdesign.com/#home), asked me to add a bit of bold color to his office wall. His choice: Benjamin Moore's Mulberry (2075-20). After painting this color in a flat finish I used a gloss varnish to freehand a design over the top.